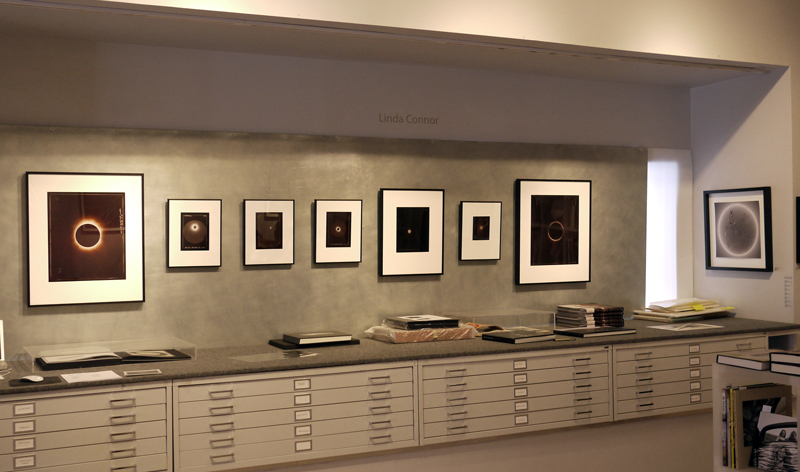 Solar, an exhibit of photographic interpretations of the sun, is up at photo-eye Gallery through November 17th. The Solar exhibit includes the work of seven photographers working in a variety of unique processes ranging from historic to contemporary techniques. With work by Linda Connor, Alan Friedman, Sharon Harper, Chris McCaw, Becky Ramotowski, David H. Gibson and Jamey Stillings, the show captures many perspectives of the fascinating and beautiful sun, and we are getting a lot of great press about it. Pasatiempo featured a two page spread about the exhibit and each of the seven artists included. We were also excited to see a review of the show in Photograph Magazine. 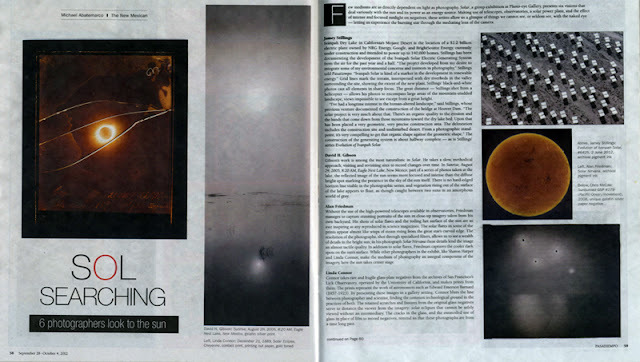 In his review, Douglas Fairfield states: "This group of photographers imports a remarkably wide variety of perspectives on the sun wherein documentary and fine art overlap comfortably." Read the entire review here. Solar will be on exhibit through November 17th. A group portfolio from the show can be seen online here. A variety of blog posts focusing on artists from the show have been published in the past few weeks, including: an interview with Chris McCaw on his new book Sunburn, statements on the processes of Becky Ramotowski and Alan Friedman, Jamey Stillings on the origin of his Ivanpah Solar project and Sharon Harper on her book from Radius From Above and Below.